The best dumplings in NYC are found across a constellation of neighborhoods: there’s Chinatown, of course, but also the East Village, Flushing, and even Midtown. So where can you go when you want a delicious helping of hot dim sum? It depends on what neighborhood you want to visit. Below, we spotlight the five best places to get dumplings in New York City– from OG classics to up-and-coming hot spots. This soup dumpling is so large that 4 people can easily stick straws in it and drink from it like a scorpion bowl (and yes, they do serve this dumpling with a straw for drinking the broth). 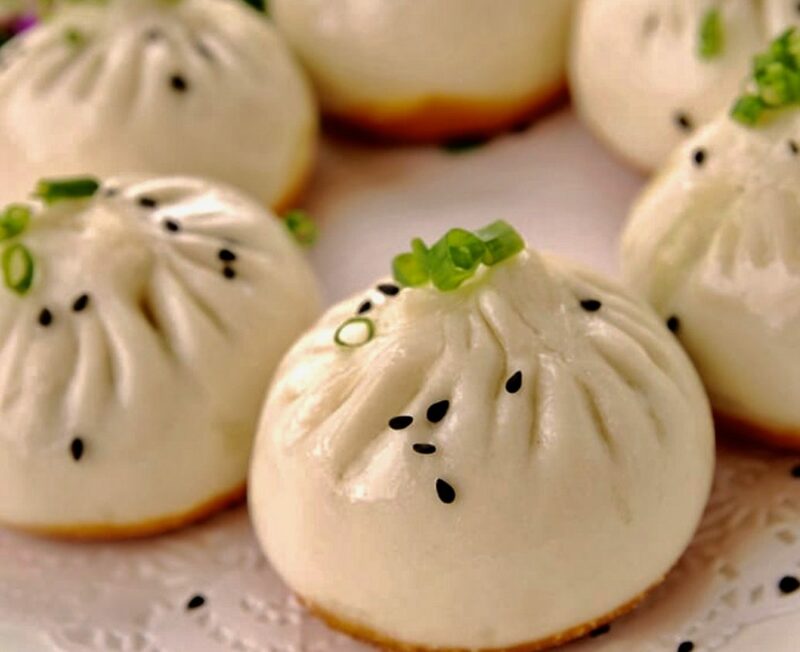 For those who are curious, “XLB” is short for “Xiao Long Bao,” aka “soup dumpling.” Soup dumplings are a traditional Chinese steamed bun filled with meat and broth that spills out once you bite into it. Recently, Drunken Dumpling has added colored pot stickers to their menu, including the hot pink “Shrimp and Wood Ear Mushroom” and bright green “Shrimp with Bacon and Orange Slice” potstickers, above shown. 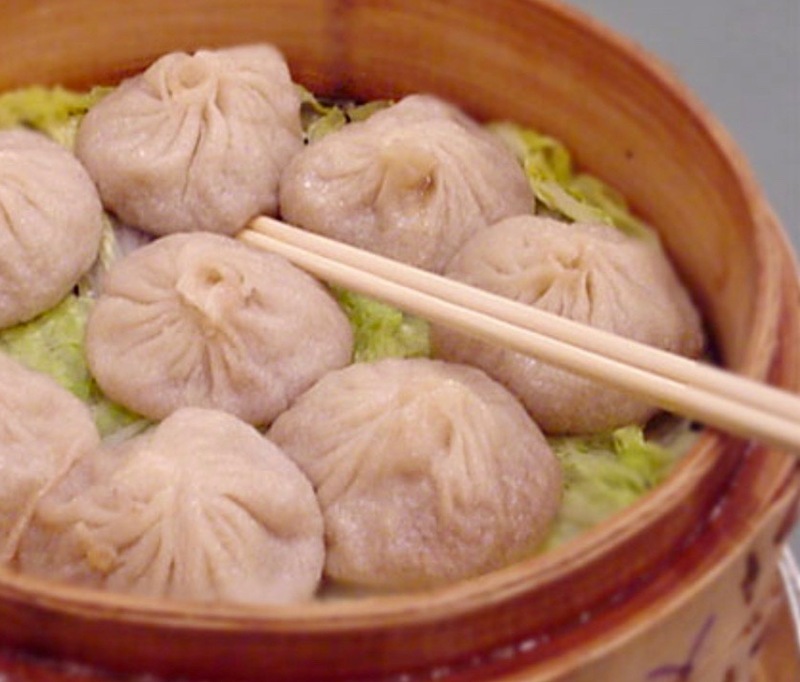 Nan Xiang Xiao was listed in the Michelin Guide every year specifically for its soup dumplings. 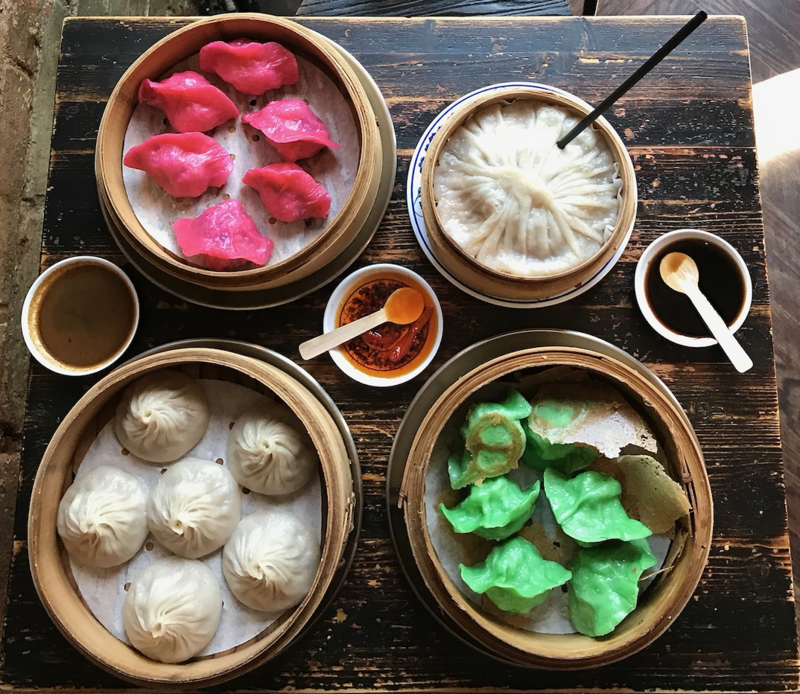 This budget-friend Shanghainese restaurant makes some of the best dumplings in NYC, according to everyone from seasoned experts to Yelp novices. Soup dumplings as we known them originated in a suburb of Shanghai called Nanxiang, from whence this restaurant gets its name. While service is adequate and by no means reliable, it’s worth it for the thin, beautifully braided golden dumpling noodles and their tender, umami filling. 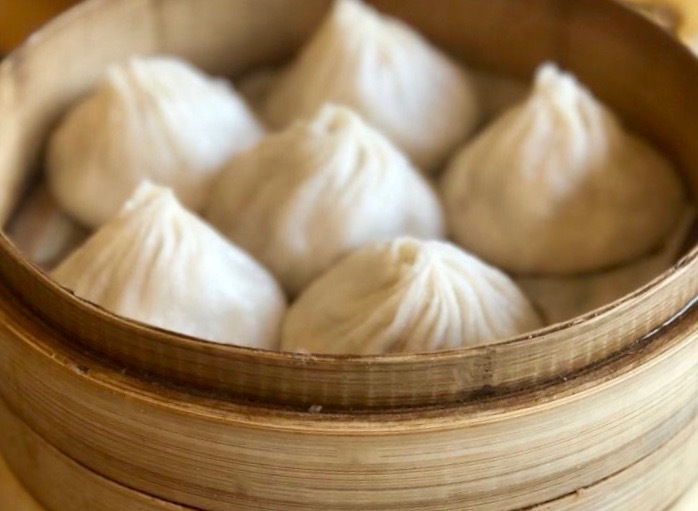 Famous for their soup dumplings and delicious pork shoulder, Joe’s Shanghai is a Chinatown establishment that now has locations in Midtown and Flushing (due to popular demand). 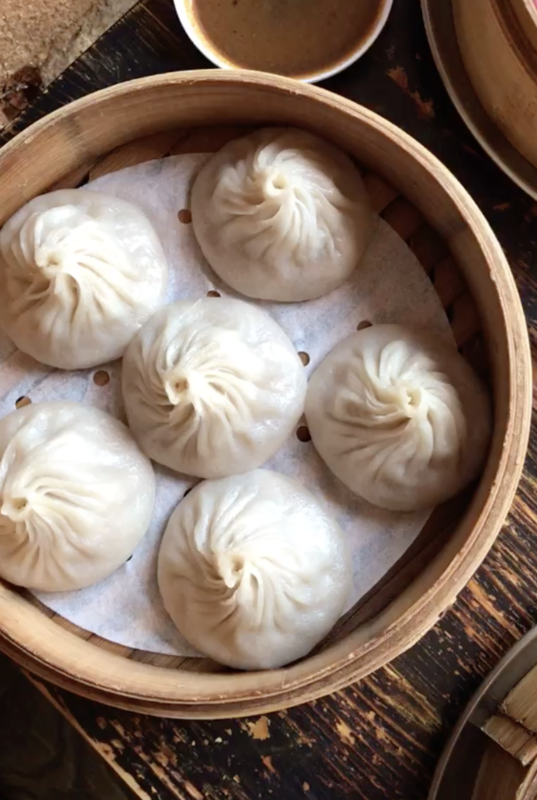 New York foodies will appreciate the history and legacy of this place: in 1996, a New York Times reviewer famously said Joe’s Shanghai dumplings were “the best things in the whole world.” The Internet tends to agree. Start with a shredded turnip shortcake and/or scallion pancake, then move on to the crab meat dumplings. Be sure to leave room for dessert, as the homemade sweet red bean shortcake is easily the best you’ll ever have. Shanghai 21 is conveniently located on Mott Street, in the epicenter of New York Chinatown. While the restaurant itself is not elaborate, the menu boasts what might be the city’s widest variety of dumpling flavors. Plus, they deliver! Favorites on the menu include: Black Truffle Soup Dumplings with Pork, Shrimp Dumplings, Steamed Watercress and Shrimp Dumplings, and the pan-fried Pork Dumplings. The restaurant also offers a wide variety of Lo Mein that’s worth checking out. Despite its far-flung location in Flushing, Shanghai You Garden is always busy. Be prepared to wait in line. We also love getting steamed crab meat and pork buns to go; their rich soup filling and delightful crab topping are not to be missed. Like Drunken Dumpling, Shanghai You Garden also serves giant, singular soup dumplings (though these ones are not quite as large). 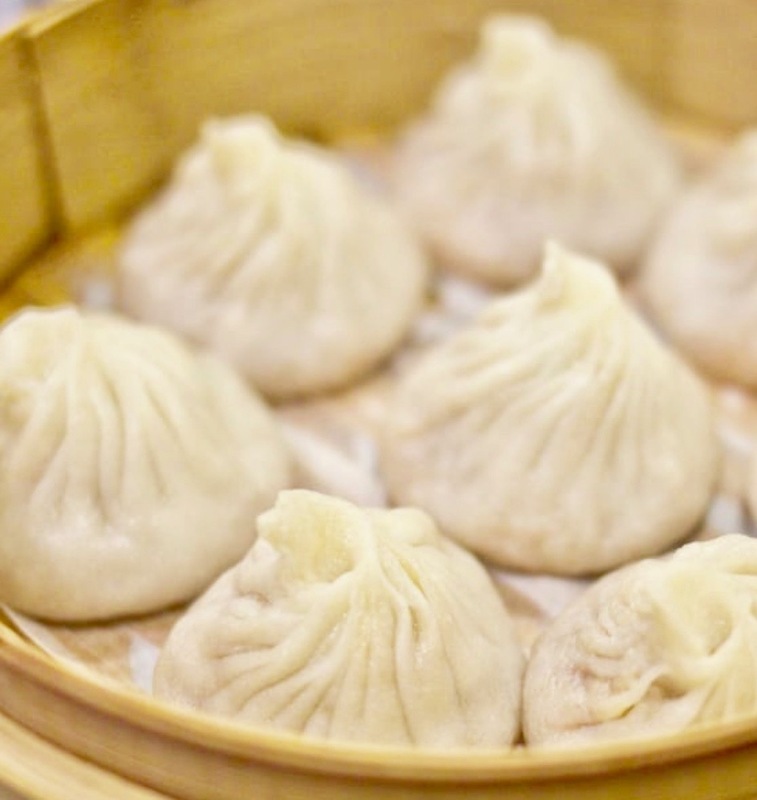 We recommend going with a group and ordering a variety of steamed pork buns, pan-fried dumplings, and Shanghai shao mai. 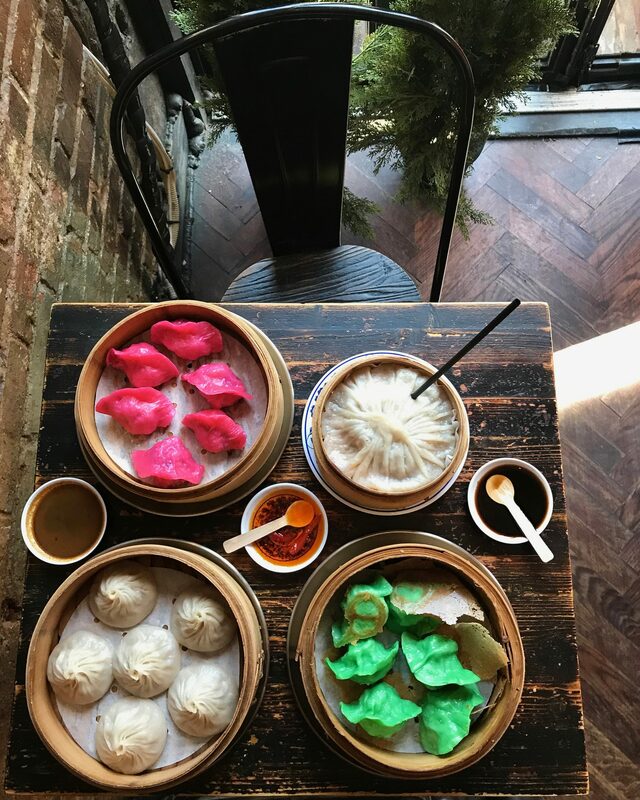 Because all dumplings are better when you share them with friends… right?